The first name of IBM was actually The Computing-Tabulating-Recording Company (C-T-R), which opened doors on June 16, 1911, as there were three manufacturing businesses that were consolidated by the financier, Charles Ranlett Flint – (the Computing Scale Company, the International Time Recording Company, and the Tabulating Machine Company). The new holding company had around 1300 employees and produced various things – from meal slicers and coffee grinders to punched card systems. Flint hoped that joining such various businesses would provide diversification and stability in hard times. The head office was located in New York, as the operating factories were situated in cities like NY, Endicott, Ohio, Dayton and others. 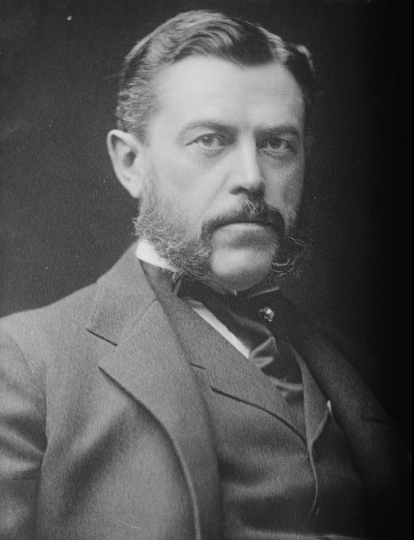 Charles Flint became the first CEO of the corporation. Time clocks were the total game changer in those years, as everyone knew exactly how much time they have spent on work and how much more they should stay. Time clocks gave him a huge opportunity to put his plan into action, as he negotiated companies that made recording time clocks to merge and make something big. International Time Recording Co. (ITR) was the first company in the world making card time recorders and this was one of the main sectors the newly formed C-T-R operated in. Herman Hollerith’s Tabulating Machine Company, which then was held in Washington, DC., was the most important business in the merger. Back then it had won the task to count the 1890 US Census. The machines developed and used for this significantly optimized the effort and times needed for counting the population. Then it was not a surprise that the company won the government contract for the biggest statistical adventure of that time – The 1900 US Census. The tabulating machines of the company had a huge success, but Herman couldn’t rely only on government orders and had to find new business opportunities for the company. He started selling his semi-automatic tabulating, sorting and punching machines to railroad companies, governments, and private businesses. Herman Hollerith’s revolutionary product was a card, three by seven inches, that held all the information about a person like a name, hometown, job, and others just by being punched with holes. Hollerith’s machine was able to count the population of different cities, as well as sorting through millions of cards. This was a big achievement by that time. In no time, the company realized that those cards do not have to hold only a person’s information, it can be a card containing a data for a freight car on a rail line, a product a company sells or even an insurance number. A big part of those tabulating machines was used to keep track of customers and salesmen in companies like Eastman Kodak Company, or the New York Central Railroad. Flint found a way how to make a deal for Hollerith, paying $2.3 million for the entire business in 1911. Buying Hollerith was the winning lottery ticket, as this technology had a promising profit. Before merging the companies, the machines Hollerith used to produce were very popular in countries like Russia, Canada, Austria, and Denmark, as they counted faster and understood the information in a different way. The Computing Scale Company of America was the third ingredient of the mix that gave birth to IBM. The business founded in 1901 was a holding company producing commercial computing scales. Flint tried his best to find a way how to make the three companies work and soon realized it was all about collecting, quantifying and analyzing information. The new century was all about exploring. People showed their passion for the new, as they invented the first Ford Models, added electricity in their homes and started using the telephone. The economy was in its blossoming and it seemed to be a great start of something new. Charles Flint was one of those people that had an extreme passion for the new. He was out on the streets, doing what he really loves- producing all kind of things from caramel to ships. This way he made relations with some of the biggest figures in the business and politics at the time, in order to be an influential person. Because the times were hard and the leading of such a colorful merger would be a tough step, in 1914, the General Director’s position was taken by Thomas Watson Sr, who had a big experience and a pending 1-year jail sentence. 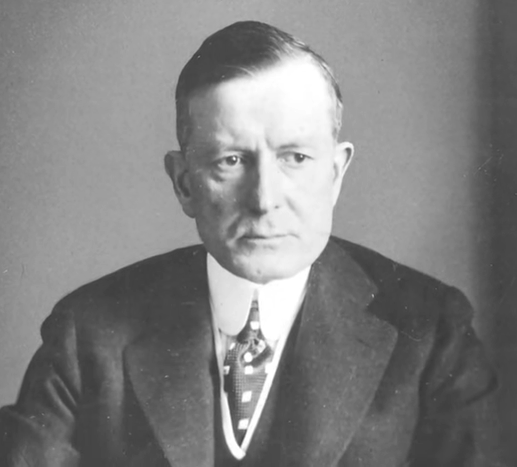 Previously the executive was found guilty of a violation of Sherman’s Antitrust Act but was later in 1915 found to be not guilty on appeal and became the president of C-T-R. Thomas Watson Sr would later become one of the most successful and innovative executives of IBM, and the man who would coin the very famous today “THINK” motto of the business. Even though the first ever after the merger everything was working perfectly fine, the C-T-R came into a deadlock. The only way out was hiring Thomas Watson Sr. as a director. After taking the position, Watson turned the pieces of C-T-R into even greater gadgets and made the company more stable. He knew exactly how to proceed, and soon he turned the tabulating machine business into a whole information industry. The selling’s in the US weren’t enough, so Watson created a strategy on how to expand the market overseas. The machines started to sell in counties like Germany and Canada. 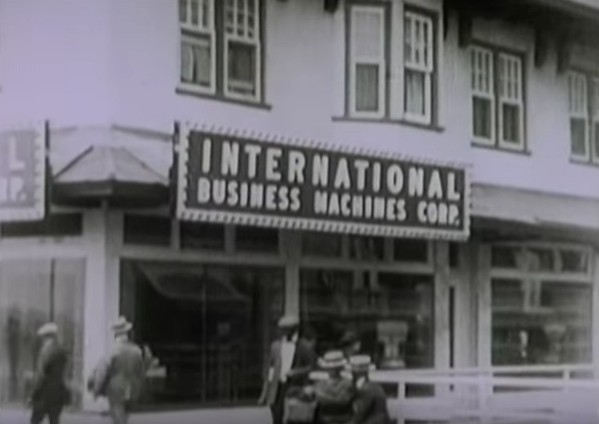 In 1924 the company was renamed and took its present name- International Business Machines. Flint’s business with time clocks and computing scales fell through, but this was not a significant loss, as IBM became one of the most influential companies for information technology. The net income of the company in 1911 was around US$800,000, as in 2016 the profit was the humongous US $11.8 billion. A $1 000 investment in the company in 1915 is nowadays worth $34 000 000. Even though the hard times the company had, the many plans and changed ideas, now it is one of the leaders on the market with more than 100 years of history. The contribution of the cultural touchstones like the IBM ® Selectric typewriter, the THINK signs, the IBM PC, punched cards or the Watson computer were the winners in the Jeopardy! You could share this post if you liked it! Thanks!